SpayOK is now fully operational at our North Clinic at 501 East 36th St North. We are working to fill pending and incoming requests for appointments as soon as possible. We apologize for any inconveniences due to our limited services capacity in recent weeks. 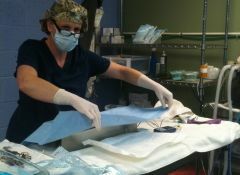 Since 2004, SpayOK has performed more than 142,000 pet surgeries to help prevent unwanted litters. Our clinic in Bixby is permanently closed. 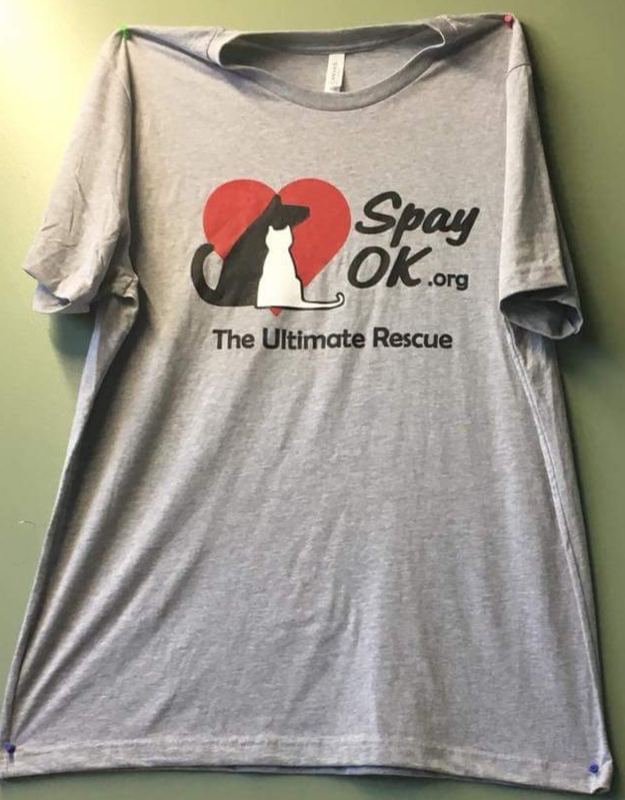 Spay Oklahoma is a non-profit organization founded in Tulsa in 2004 in response to Oklahoma’s serious pet overpopulation problem. More than 60 percent of pets become unwanted and will be abandoned or end up in pounds, shelters, or research labs. Our mission is to eliminate pet overpopulation by providing low cost spay and neuter services to pet owners who cannot afford this important step in care of their dogs and cats. We are a nonprofit organization founded in 2004, supported by donations, grants, and fees charged for surgeries. Community donations and fees for surgeries help subsidize and offset our full cost of operation. 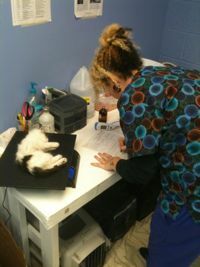 Our professional staff includes licensed veterinarians, clinic managers, and in-surgery assistants. Volunteers help staff our clinics, which contributes to limiting manpower expenses. We have T-shirts for $20 donations available. Moms and Litters are special! Here’s a bundled discount deal! Uh oh, you have a momma dog or cat and her kittens/puppies! What to do? Litter “season” is now year-around, so we’re helping curb the spiraling numbers of unwanted births with our special package discount deal for momma dogs or cats and their babies. You can’t afford to NOT spay and neuter! It prevents thousands more unwanted litters when the babies leave your care. Please be responsible. We’re here to help you!